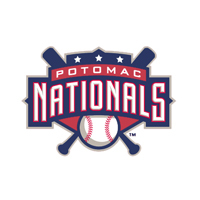 The Potomac Nationals dropped the third game of a series with playoff implications to the Frederick Keys 10-7. The P-Nats left ten on base and couldn’t overcome a 10-2 deficit. Frederick jumped early on Potomac starter LHP Robbie Ray. After two walks, Allan de San Miguel hit a homer that just cleared the left-center field fence to give Frederick a 3-0 lead in the first. The Keys added another run in second on a Glynn Davis RBI triple to increase the advantage to 4-0. The P-Nats got a run back in the bottom of the second with Ricky Hague grounding out with runners at first and third to get within 4-1. The Keys added a fifth run on a Garabez Rosa solo shot in the fourth inning to go up 5-1. Ray was taken out of the contest with one out in the third, he gave up five earned runs thanks in large part to four walks. Of his 80 pitches just 44 were strikes. Potomac got a run in the sixth inning when reliever Ryan Berry dropped an easy pop up in front of the mound to get within 5-2. But the bases were left loaded for three of the ten the Nationals left on base tonight. It appeared Frederick put the game out of reach in the top of the eighth inning. All against Neil Holland, the Keys sent ten batters up scoring five runs. With the bases loaded and one out, a grounder went to Hague at short stop. His throw was low home and it opened up the flood gates to all five runs. Steve Bumbry hit a two-run single, Rosa an RBI single and Sammie Starr knocked an RBI single to make it a 10-2 contest. But Potomac was able to make it interesting by answering in the bottom of the eighth. With two outs and one on, two straight walks loaded the bases. Francisco Soriano hit an RBI single to make it 10-3. Blake Kelso followed that up with a two-run single to bring Potomac within 10-5. A double smashed down the right field line by Matt Skole scored two more to make it a 10-7 game. However there would be no P-Nats rally as David Walters was able to get the final four outs for the Keys and seal a huge 10-7 win for Frederick. Tim Berry (5-5) got the win giving up just one earned run in five and a third innings. Ray (4-12) took his fifth loss in as many August starts. He lasted just three and a third innings yielding five runs.